Wood turning on a pole lathe is great fun and a useful skill. 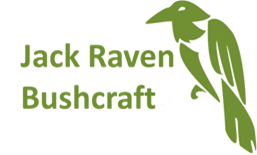 Dave attended our ‘Blacksmithing, Bodging & Bushcraft’ course in September and sent these photos to us. They are the before and after shots of a billhook. 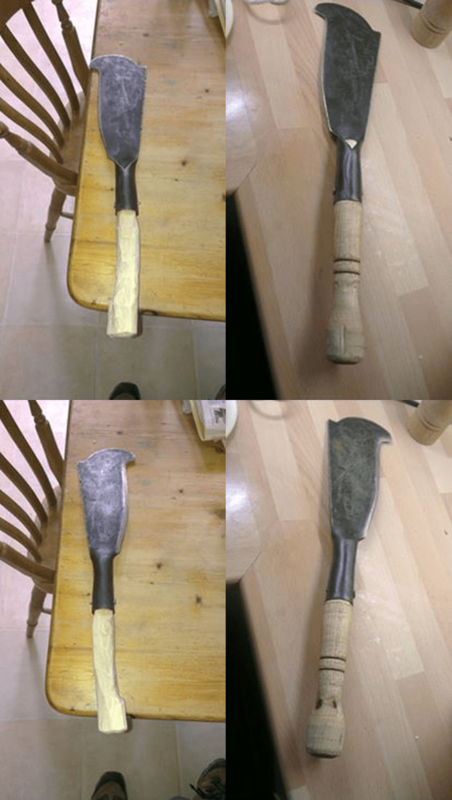 The left hand side are the before photos and the right hand side are photos of the billhook fitted with a handle he turned on a pole lathe. A skill I’ve been learning recently, as I wrote in this post. Dave says “The handle was turned on the course, and then seasoned for a month. The blade has been re profiled to match the original Elwell Offley pattern of a one sided bevel, well suited for heavier duty work like making fence posts.” What he doesn’t say is that as well as turning the handle, he had previously felled an ash, cross cut it, cleft it into 4 and then rounded off one of the quarters initially by axe and then on a shave horse using a draw knife! Then it went on the pole lathe and became an ash billhook handle. Dave also made an axe handle for a felling axe head he had. The design ended up based on a GB large forest axe handle. We’re looking forward to the photos! You can see plenty of photos from the course on our Facebook page.